Now is the time we all make that New Year’s resolutions list. My question to you is how often list includes investing in your personal and professional development? I’m not talking about buying yourself a present or an espresso, losing weight, exercising more, or the myriad of typical resolutions. I mean true investment in your career and life? While many in the workforce claim they want this benefit from an organization they work for, when offered it is often not utilized unless companies force the issue and require training. 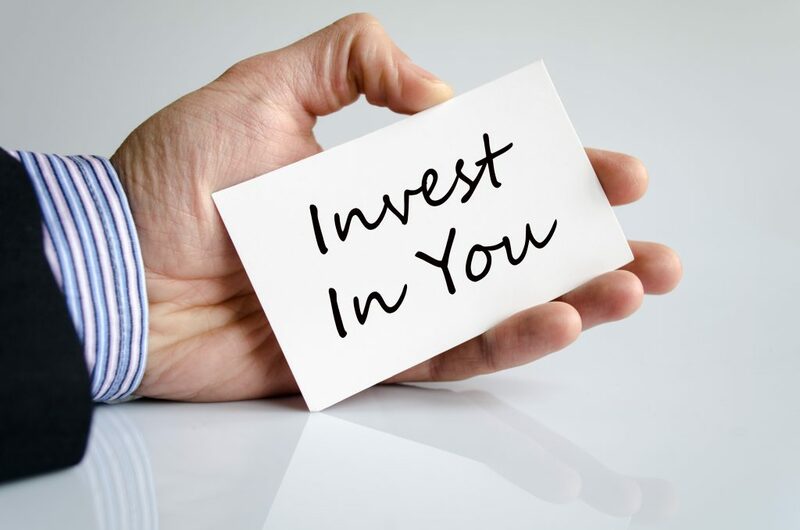 This article is to steer you towards investing in yourself for 2019. Just like you lose money and essentially work for free a part of each day if your company offers a 401K with a match and you do not take advantage of the “free money,” the same goes for personal and professional development. From taking a cooking or photography course to Business Writing, Microsoft Excel or Stephen Covey’s Seven Habit’s course, you gain insight into you, learn something new, expand personal or professional horizons, and, if professional development, bolster career potential, possibly preserving your job in difficult times. So, do I follow this rule. Yes, I practice what I preach and hold 17 separate certifications, take several webcasts annually, and I am about to hold gain another certification. Do I advertise all of them? No, as many are antiquated and no longer apply, but I do certainly maintain several of them, and look to strengthen my skillset when possible with new training. Before you think, wow, she is addicted to training. I have been in business over 19 years and some of the certifications took six to eight weeks and some six months, so I don’t spend all my time obtaining them. I do however understand several things very important to coaching. One, I must realize I don’t have all the answers. Two, I must be willing to constantly challenge myself and learn new techniques, assessment types, ways of viewing a client issue, etc. Third, I must be willing to be coached and critiqued if I am to be an effective coach and writer to others. This means professional and personal development and having a coach. Soon, I will be participating in a mastermind group, and look forward to seeing how that might strengthen my business as well. Of course, that will probably prompt another article. Where do I find the time? Well, to put it simply, I make the time, and so can you. We choose what we make time for in our lives. I will give you a couple of examples of friends who do this effectively. I have a friend who has four children, all very engaged in a variety of school and personal activities, she takes care of an elderly relative in her home, has a husband who works a great deal of overtime, works a full-time job herself, and is going to back to school to get her masters. Oh, and by the way, she is setting the grade curve in all her classes with her awesomeness. I am, needless to say, truly proud of her. Where does she get the time? She decided to make the time. The second friend is a business woman, has two young children, a husband who runs his own successful business, is highly involved in volunteer activities, and she trains others in her business as well. Both ladies are more than full time, and both make it work because they made a decision. We are the “excusitis” crowd in this day and age (yes, I made up the word), a multi-generational group constantly saying we don’t have time. Yet, we watch too much television, sit on iPhones and digital devices wasting hours of time, and run ourselves (and our children) ragged with excess activities we have no need to do. Whether it is just hard for you to say no to something or you are someone who simply cannot have downtime, you have created this situation! Stop saying you don’t have time for something as important as your career and personal development. Make time, it will pay huge dividends. That television show you miss, phone or digital device time you give up, or extra activity you should never have said yes to in the first place will not suffer, but if you don’t make time to improve yourself, your life and career will be impaired. So, I ask, will you make the decision/resolution to create a little extra time in your schedule to be a better you in 2019, both in your career and personal life? To paraphrase a popular commercial – are you worth it?